Blockchain technology can revolutionize the way in which businesses provide services to both consumers and to other organizations. From building digital trust over a completely transparent ledger, to allowing participants to quickly interact via a peer-to-peer network, blockchain technology is proving to be a solution that will drive the next phase of digital transformation. This in mind, enterprises and companies are spending more money than ever before on blockchain solutions. According to IDC’s inaugural Worldwide Semiannual Blockchain Spending Guide, $945 million was spent on blockchain solutions in 2017. The report notes that this amount is expected to reach $2.1 billion during 2018. 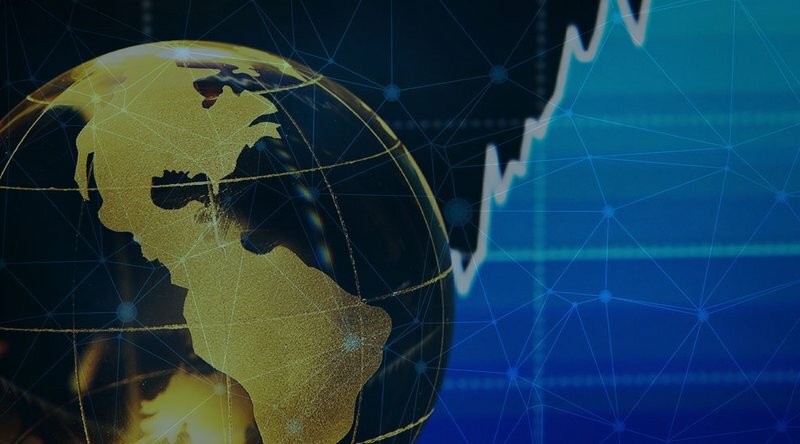 IDC expects blockchain spending to grow at a robust pace over the 2016-2021 forecast period with a five-year compound annual growth rate (CAGR) of 81.2%, reaching a total spending of $9.2 billion in 2021. “Interest and investment in blockchain and distributed ledger technology (DLT) is accelerating as enterprises aggregate data into secure, sequential and immutable blockchain ledgers, transforming their businesses and operations,” said Bill Fearnley, Jr., research director, Worldwide Blockchain Strategies. It’s also interesting to note that blockchain budgets are increasing globally in different sectors. For instance, the United States is expected to invest more than any other country in blockchain solutions and will allocate a large percentage of the budget to the distribution and services sector. Western Europe, China and Asia-Pacific are also going to invest heavily in blockchain technology geared toward the financial services sector. “2017 was the year of experimentation as enterprises realized both the benefits and challenges of blockchain. 2018 will be a crucial stage for enterprises as they make a huge leap from proof-of-concept projects to full blockchain deployments. As a leader in blockchain innovation and integration, the U.S. will continue to invest in blockchain throughout the forecast, spending heavily in financial services, manufacturing, and other industries. The U.S. will look to improve efficiencies in existing operations while promoting new applications in others, creating new streams of revenue and areas of spend,” said Stacey Soohoo, a research manager in Customer Insights & Analysis at IDC. Globally, blockchain technology spending is expected to be very high in the financial and banking sectors (estimated to reach $754 million in 2018), although leading use cases for blockchain technology are also being seen in other areas. For instance, in the distribution and services and the manufacturing and resources sectors, the leading use cases include asset and goods management and lot lineage and provenance. Fr8 Network, a U.S. based supply-chain management company, is using blockchain technology to solve a number of problems to help improve the flow of goods and services in the freight industry. Fr8 Network plans to invest heavily in blockchain technology in the coming months as the company builds out their Minimum Viable Product, which uses blockchain solutions such as smart contracts, to eliminate middlemen and create a peer-to-peer network where shippers and carriers can coordinate freight transactions. From a technology perspective, IT services and business services (combined) will account for roughly 75 percent of all blockchain spending throughout the 2016-2021 forecast, with spending fairly well balanced across the two categories. According to IDC, blockchain platform software will be the largest category of spending outside of the services category and one of the fastest growing categories overall. For example, ArcBlock aims to create a “Blockchain 3.0” generation that will focus on the advancement of decentralized applications, while helping users overcome the main challenges associated with blockchain technology. “We estimate to invest at least $3 million in the research and development for the ArcBlock platform, which will significantly improve the efficiency of blockchain app development,” said ArcBlock’s Founder and Lead Architect Robert Mao. Findings from IDC’s inaugural Worldwide Semiannual Blockchain Spending Guide clearly show that there will be a continual increase in the amount of money spent on blockchain technology in the coming years. Enterprises and businesses are now seeing the real value in blockchain-based solutions, which also has a lot to do with digital trust. SAP’s Head of Blockchain, Torsten Zube, believes that the digital trust created by blockchain technology can help enterprises transform entirely. “Blockchain is capable of driving digital transformation, as enterprises should view blockchain as a new source of trust that allows for better communication in the digital world,” Zube said. However, the report notes that blockchain technology shouldn’t be viewed as a silver bullet for every entreprise or business. It suggests that blockchain-based solutions are primarily solving real-world challenges faced by industries that have experienced inefficient, manual processes that have yet to evolve. “There are a multitude of potential new use cases for blockchain, as transactions and records are the lifeblood of just about every organization. However, we are seeing initial blockchain spending to transform existing highly manual and inefficient processes such as cross-border payments, provenance and post transaction settlements. These are areas of existing pain for many firms, and thus blockchain presents an attractive value proposition,” said Jessica Goepfert, program director, Customer Insights and Analysis at IDC. While blockchain technology does provide a number of benefits, it’s important for organizations to consider their pain points before allocating a big budget to blockchain-based solutions. As the IDC report predicts, large investments in blockchain technology will primarily be made in the financial services sector, manufacturing industry and IT services moving forward.